The LG V40 ThinQ has received a second camera-focused update this week. The update brings better HDR performance, and improved auto-focus in Triple Shot mode. LG’s previous update brought better low-light image quality, and improved white balance/brightness. The LG V40 ThinQ is the second flagship to hit the market with a triple-camera setup, enabling wildly different perspectives. Photo quality was a little disappointing, as we found out in our LG V40 ThinQ review, but the Korean company seems committed to improving matters. LG has delivered a second camera-focused update for the smartphone, Droid-Life reports, weighing in at 391MB. This new update improves HDR performance, delivers better sharpness and color in outdoor conditions, and improves the “black phenomenon of video recording.” Yeah, I don’t know what that means, either. The update doesn’t stop there, as it also improves auto-focus when using the Triple Shot mode. This was an issue raised by several reviewers, so we’re glad to see LG paying attention to this feature. 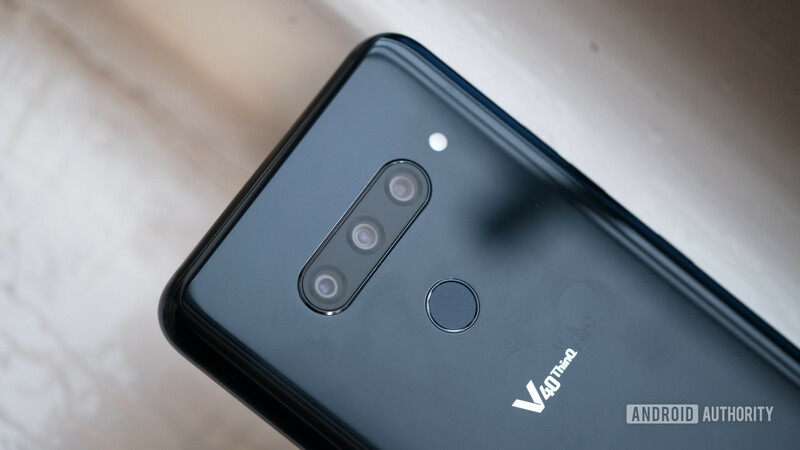 News of a new LG V40 update comes a few days after the company issued its first camera-focused update. The first update improved low-light image quality, low-light HDR snaps, and AI Camera quality. The OTA update also delivered improved auto-focus performance and better white balance/brightness in outdoor conditions. We’re glad to see LG deliver updates before the phone’s release, but hopefully the company keeps this commitment after the phone hits shelves. After all, a prompt serving of Android Pie is in order, as the device launched with Android 8.1. You’re still getting a feature-packed phone anyway, including an 8MP standard and 5MP wide-angle front camera setup, wireless charging, IP68 water/dust resistance, a headphone jack, and quad-DAC hardware. What do you make of the LG V40? Would you buy it over other flagships? Let us know in the comments! Best phones with a triple-camera setup — what are your options?